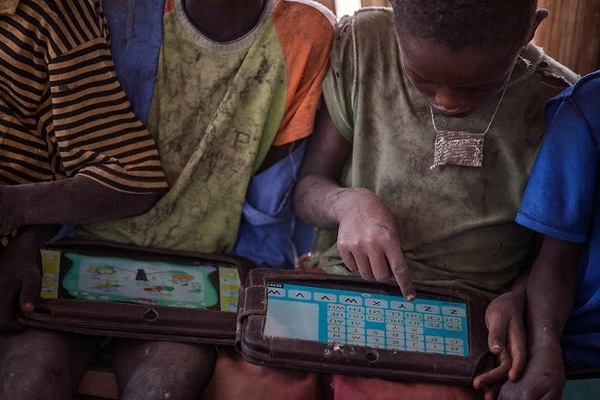 There are 250 million children around the world cannot read, write, or do basic arithmetic. UNESCO estimates a 12% drop in world poverty if all children in developing countries had basic reading skills. Many of these children are in developing countries without regular access to schools or teachers. There are not enough teachers to meet the demand of learners in the world! We are a new approach. One that will remove the barriers to a quality learning experience regardless of location or economic status. We are working hard to develop open source software (available for free once built) for children to teach themselves reading, writing and arithmetic! 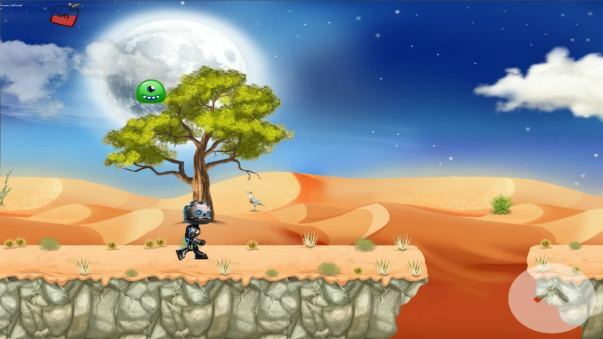 Our gamification of learning will allow children to interact with the learning environment for longer periods of time. Our technology solution has elements of machine learning (AI) which directs the children's learning and provides feedback in real time, in-built assessments and internationally curated curriculum. We believe that it is time to democratize learning. As part of the Global Learning XPRIZE Challenge, we will release the first leg of our software in November 2016, both in English and Swahili. 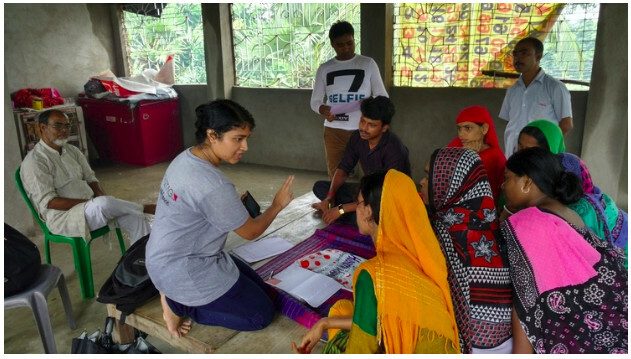 Winning teams will be supported to field test their software on 100 villages, and assess the impact of the software on predetermined learning metrics. As believers in the goodness of men and women, we have been working from the start as a volunteer team, with support from across India and internationally! We are deeply grateful to our entire team of volunteers! At this stage in our journey, however, we are in need of funds to access some quality resources to enable the software to reach the quality benchmarks we have created for ourselves. Any amount you donate, will go a long way in helping us build a high quality learning environment. Join us to lift generations out of illiteracy!! Do drop by and say hello on Facebook and Twitter! Hope you are doing good. This is Subhajit speaking on behalf of Team Krishna. It's been more than 2 years since we have been able to update anything in milaap. As you read this message, be assured that we still exist for the noble cause, and that your support didn't go in vain. Please let me take you through our journey till now. The success of the crowdfunding campaign had boosted us a lot. Contributions had majorly come from within the team, their friends, milaap and a large group of people who believed in our cause. Although we had a strong 25 member team of volunteers, the stress of daily jobs added with greater commitment from XPrize projects led many to drop out even though they dearly wanted to contribute. Eventually there were around 8 members who stayed close and carried on with the development. The funding amount was majorly used in graphics works, payment of XPrize insurance fees, import duty for the tablets sent by Xprize, and procurement of few development equipment. After 1.5 years of hard work, we were finally able to make our XPrize submission in the month of January 2017. Although we had given our best, we realized that we could have done better had we been solely doing this project. We completed our software but we missed out on field testing, it was a once-in-a-lifetime opportunity and we knew we had missed out on some things. We were not at peace, Gargi resigned from her job in January 2017 followed by me in the next 15 days. 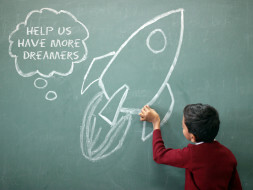 With the XPrize submission over , we now lacked a goal; we knew we had to quickly do something to survive and continue. We decided to form our own startup in the education space. Balagopal resigned and joined us in the month of April 2017. Kaushik too resigned from his job and joined us full time from the month of August 2017. The next target was to create a suitable business model so that we could bootstrap. We started working out of a budget cafe in Kolkata. Where one day we met a man named Gaurav Kapoor. He advised us on doing something for the kids in rural areas and create micro entrepreneurs in the process. We later came to know that he is the Head at INVENT program for IIM Calcutta Innovation Park. We visited IIM Calcutta and we were advised to conduct pilots, the goal was to teach Maths to kids in villages by means of tablet based software. Post that we collaborated with an NGO called Help Educate a Child in Bangalore and went deep into MM Hills forests (once inhabited by Veerappan) to conduct further tests. We conducted pilots in 17 villages across 400 kids in West Bengal, Telangana and Karnataka. Villagers loved our product. Post analysis of our pilots, we noticed that the teachers in village schools earned poorly. Although schools provided low or mostly free service to the students, most of the students undertook tuition classes from the school teachers after school. But the teachers themselves were poorly trained, and ranged from being school dropouts, college students, college dropouts, or basic graduates. Parents were ready to pay for the child’s education, but they lacked access to quality teachers. We saw an opportunity and also a gap, and thought to intervene here. The next question was how do we monetize this to provide continued services. We wanted to partner with a local youth but there was one basic problem, people liked our product but they didn't feel the need to learn maths using tablets, hence no one was willing to pay. We knew that govt had already tried distributing AKASH tablets. We went to schools who had these UBISLATE tablets. The tablets were in cupboards, unused and dust-ridden. We were informed that they lacked mmc card, didn’t had proper power backup and other technical problems. As we tried to understand deeper, we realized that the teachers didn't felt the need for using them in their classrooms. They lacked motivation. We inferred that we need to make something that the teachers feel comfortable using in their classes. Also, we realized that even though parents didn't want to pay for maths, they could do anything to make kids speak in English. The demand was that of English, the parents are aware of the fact that their kids would face a lot of problem in future if they didn't learn English at the early ages. We changed course, Gargi and I went back to villages to conduct a second round of pilot, this time with English teaching content. The results were phenomenal and after 2 weeks we invited the parents of the kids, who performed in front of the parents in English. We started 2 After School English Activity Centers in the month of December 2017 in 2 villages named as "Jiban Mandal haat" and "piali" both located in West Bengal. The center at Jiban Mandal is operated by a person who is the 1st graduate of his generation and the center at Piali is owned by a person who is a part time hawker. 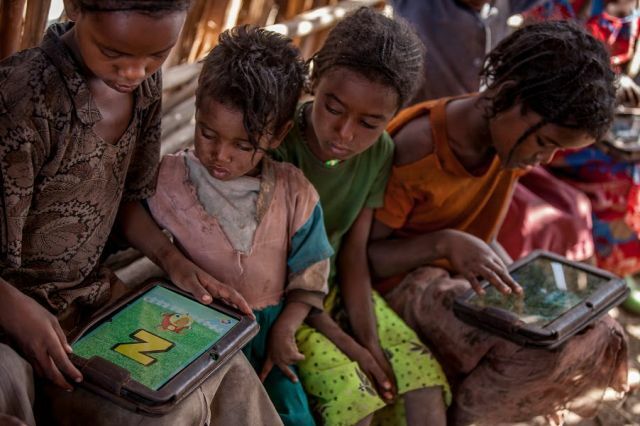 Both teach English to the kids of their villages with the help of tablets provided by us. As of now, 85 kids are taking our paid program. We are in the run to open our next 2 centers. Presently we are 4 member team consisting of myself (Subhajit Roy), Gargi Mazumdar, Kaushik Mazumdar and Balagopal. Other members namely Saikat Mukhopadhay, Dipankar Patra, Satya Venkata Sandeep and Devraj Hom Roy couldn’t join us full time due to responsibilities in their personal lives. Satya and I had earlier incorporated a company named Krishworks; Gargi, Kaushik and Balagopal joined Krishworks full time as co-founders. Saikat, Dipankar, Satya and Devraj actively support us, we hope to get them onboard soon in the near future. We provide opportunities to kids in villages to read, write and communicate in English. 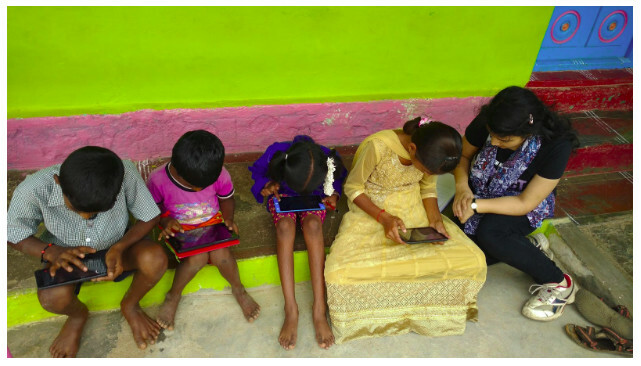 We create micro-entrepreneurs by helping rural youths teach English (via micro franchised After School English Activity Centers ) to kids using tablet based contents and also help them earn money in the process. Gargi and I look into curriculum and operations, Kaushik develops the software and Bala is voracious learner who helps in every other activity. During this period we got incubated by Sigma IKP Eden, IIM Calcutta and Indian School of Business Hyderabad; we got recognized by Indian Chambers of Commerce and Bengal Chambers of Commerce as one of the rising startups from Eastern India. We won the Economic Times Power of Ideas 2018, presently we are also supported by IIM Ahmedabad and Tata Trusts Social Alpha. We came in top 30s at the Global Learning XPrize competition, we were sad but we didn't stop. It was not an easy journey but it has definitely been memorable. It gives us immense pleasure to announce that we have been able to make successful submission to XPRIZE with our game product - Gurukul. As per the communication from Xprize, out of 198 teams registered for the competition, we stand amongst the top 38 teams who have successfully submitted their software and are undergoing the first round of assessment at XPrize. The teams who make it through the first round will have their software put up for field testing. And the data collection from the field testing will be used to select 5 semi-finalists, whose softwares will be deployed in Tanzania for an 18 month pilot project. 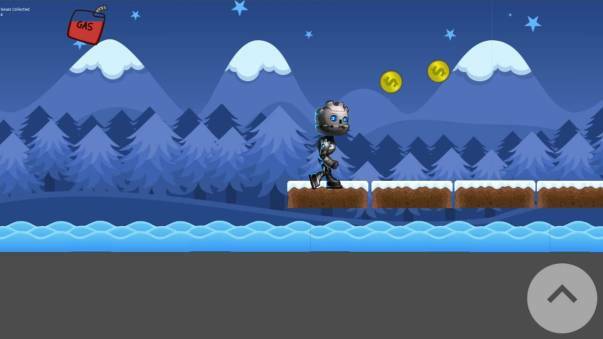 We plan to put up our game on play store soon. The only reason that hasn't been done yet is because we are making our game complaint with play store policies and, more importantly, are testing the game across a range of devices/tablets so as to cover the hardware base for play store users and give them a seamless experience. Needless to say, R&D continues within our team to improve UI/UX, brainstorm new games, add features, improve the curriculum and add more courses to increase the age range for a child. Currently, the game is designed for an under-privileged kid in the 7-12 age group. And we plan on increasing the age range as well as the privileged/under-privileged category. At the end, we are humbly thankful to Milaap for letting us put up the fundraising campaign and to all our supporters, without whom we would have been unable to purse our dream of making the world, a better place. I am Vishnu Rao, a Milaap Open fellow from Bangalore. 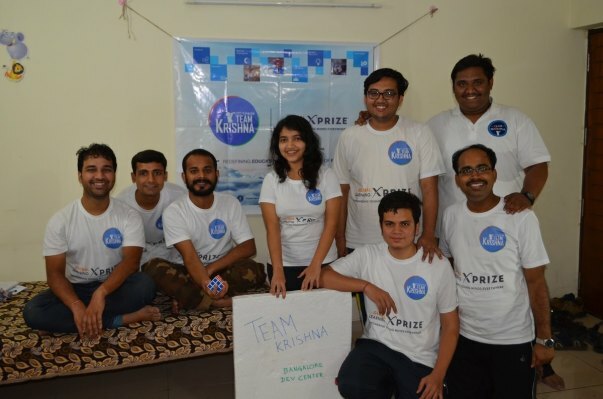 I met up with Team Krishna over the weekend and had a chat with them about their work. When I met them, they had all just finished pulling off an all nighter after five continuous days of regular work. Still they were all kind enough to let me interview them. All the members in the team are volunteers and they have regular 9-5 jobs on weekdays. They work on this project on evenings and weekends. The problem statement put out to them is simple - develop software that can help tackle the issue of illiteracy. Easier said than done I realized. The software will have to go through a rigorous judging process and will be tested on field in Tanzania. This requires all teams to incorporate the native Swahili language into their software's. Two members of the team have actually started learning the language from scratch to get this done. Just shows the lengths to which they are willing to go. Nearly 600+ teams showed interest for the competition, but only 192 ended up qualifying for the finals, owing to this specification of building the software in Swahili too. 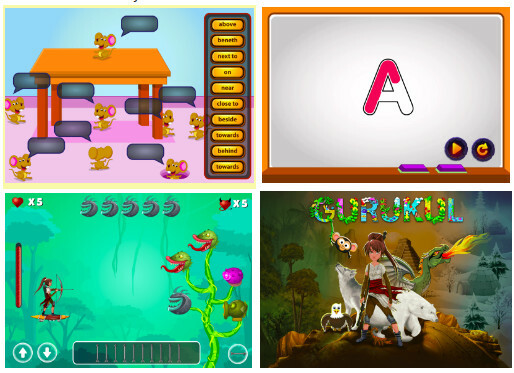 Their aim is to gamify learning by creating a highly interactive interface. The key, they say is to take into consideration the fact that children have a very short attention span. The game has to be very interesting enough to keep them hooked onto it.Their technology solution has elements of machine learning (AI) which directs the children's learning and provides feedback in real time, in-built assessments, and internationally curated curriculum. The team comprises people from various backgrounds working together to change the world. This helps them learn from each other and think out of the box. 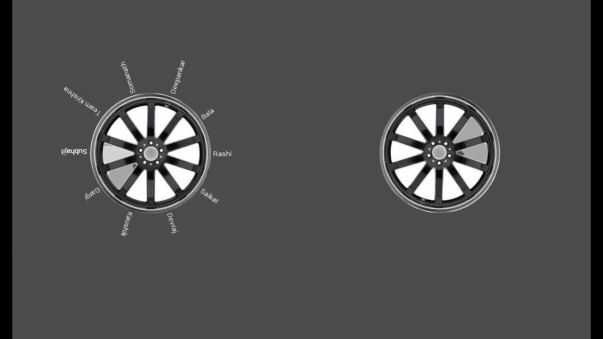 Design, Curriculum and Technology, all three need to be in perfect sync with each other to help bring about the best product. The spirit within the team is impressive. They are driven, and are willing to give their best. Every single obstacle, however imposing, can be tackled. I could clearly make out that their ambitions were not just confined to this competition alone. The very idea of helping bring change was good enough motivation for them. Below are some photos of the team and the work they have done. Gargi and team keep up the good work!! You guys are great youth role models! !